The bills would decrease the rollback rate from 8 percent to 2.5 percent. AUSTIN, Texas — As thousands of Texans shelled out thousands of dollars on the deadline to pay their property tax bills Thursday, the state's top leaders rolled out a plan to reform property taxes. Governor Greg Abbott (R), Lieutenant Governor Dan Patrick (R) and Speaker of the House Rep. Dennis Bonnen (R-Angleton) called a news conference at the Texas Capitol Thursday to introduce House Bill 2 and Senate Bill 2. "The voters demanded this and this demonstrates that the Texas Legislature is responsive to the needs of our voters," said Governor Abbott. The bills would decrease the rollback rate for all taxing entities from 8 percent to 2.5 percent. The rollback rate is the percentage entities can raise your property taxes without giving the public the right to petition for an election. The bills also state if an entity wants to increase the rate by more than 2.5 percent, it would automatically trigger an election. Houston Republican Senator Paul Bettencourt, who filed the Senate version of the bill, said lawmakers have to do something to help Texans stay in their homes. "As property values go up, tax rates never come down. People are being pushed and taxed out of their homes," Bettencourt said. "Gentrification is a new word that everyone understands in Travis County, Bexar County, Harris County, Dallas County, Tarrant County, you name it. This bill goes to a tremendous step to stop that problem." Critics argue reducing the rollback rate by that much will make it hard for cities and counties to fund critical services like police and fire. "Make no mistake, a 2.5 percent cap would limit and practically prohibit my city from having a strong law enforcement presence in our communities, keeping us safe," said San Antonio Representative Trey Martinez Fischer (D). Austin Representative Eddie Rodriguez said he's not opposed to a cap, but said it has to make sense. "Austin, Texas, is one of the most expensive places to live. I understand the need for a lot of homeowners to feel some form of relief," Rodriguez told reporters Thursday. "But the devil's in the details," he added. "We have to see what that's going to look like. If there are exceptions, if there's protections for law enforcement, for firefighters and public safety, for example, maybe we can work through that." 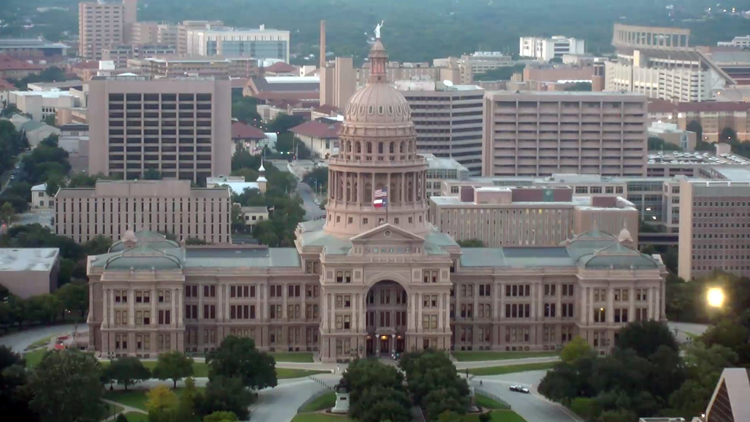 KVUE News reached out to the City of Austin to see how the cap might impact the City's budget. According to staff, if the 2.5 percent cap had been in place for the last five years, the City would have lost $93.2 million in revenue. That's enough to fund 991 police officers, which is more than half the force, the salary of 1,104 firefighters, or all of the parks department services and staff. Staff also told us is the cap passes, it will create a revenue gap of $52.7 million for the City by fiscal year 2022-2023. During the last regular and special sessions, City and county leaders strongly petitioned against any rate decrease and they were successful. The House was set on decreasing the rate to 6 percent while the Senate was set on 4 percent, and leadership in the chambers would not compromise. But Thursday, those exact same leaders, Bonnen and Patrick, said they would not be divided from sticking with a 2.5 percent decrease. "We solve problems and this is the first step in solving the biggest problem facing Texas taxpayers," said Bonnen. "This is a great day for homeowners and business owners who are sick and tired of seeing their property taxes go up 7, 8, 9 or 10 percent or more every year," said Patrick. "Those days are over." Rodriguez and Fischer say they were assured by both the Speaker and Representative Dustin Burrows (R-Lubbock), who filed HB1 and is the Chair of the Ways and Means Committee, that all members of the House would have a voice in editing the bills.